Love chilling in a bar area? Circus is a restaurant and cocktail bar like no other. You can either go and eat in the restaurant or chill in the cocktail bar area with a cocktail in hand whilst watch some amazing circus performances throughout the night. The stylish surrealist interior will transport all guests into a decadent world of glamour and escapism from the moment they enter. As the evening descends, Circus comes to life and the spectacle begins as diners and people in the bar area can sip exotic punches and cocktails whilst watching beautifully skilled performers twirl magically in front of your eyes leaving you go wow. 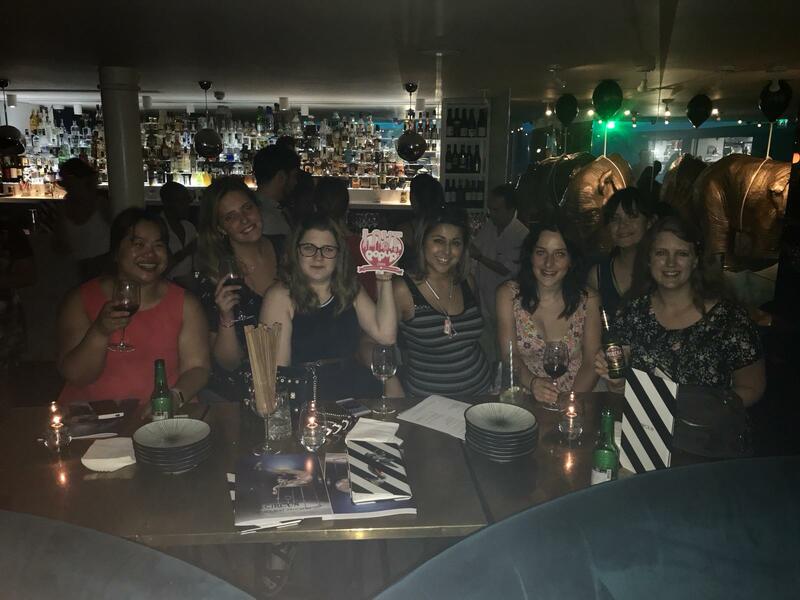 Thanks to Circus and TastyComms who let some of us community members of Love Pop Ups London come along to enjoy the great drinks and food which can be enjoyed whilst watching amazing circus performers in the bar area. Read their blogs/reviews from the comments section below. Roll up, roll up…. want to enjoy pan-Asian food and circus / cabaret entertainment? Well you can do just that at Circus London. Either eat in their restaurant or enjoy a drink and snack in their cocktail bar whilst enjoying the fantastic acts throughout the night (or day). When you picture a circus what goes through your mind? A big tent, elephants and clowns maybe. Well a circus can be a lot more classy and exclusive if you know where to look. In a little street in Covent Garden, a new club is open and boy, is it cool! By day you can take friends for food and relax over a glass of wine, and by the evening the place totally comes alive with a Circus show unlike no other. We got treated to their Christmas showcase and what a showcase of talent and sparkles it was! There are card tricks, acrobatics, aerial stunts and even a bit of drag. It’s definitely a show to watch and something, I for one would love to visit again. Looks wise it’s got the wow factor to take work colleagues or friends for that oh so important work party or girls night out. So why not head down and see for yourself, you certainly won’t be disappointed. Talking Christmas (don’t shoot me!) with CIRCUS LONDON over on the blog. But to be fair, it makes a great venue whatever the occasion!